These arrived in the post the following day, and being 3/4 size need no cutting down or adjusting. They are brilliant and I like being able to slip them into whatever shoes, or slippers I am wearing. I will need time to see if they alleviate my painful heels. I'm standing 12 hours in a warehouse, and my plantar fasciitis reached the level where I couldn't stand on one foot, while I put my other foot in the slipper. 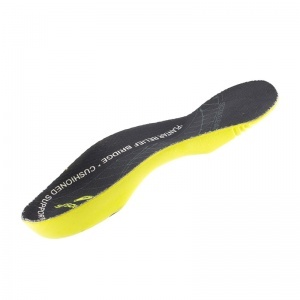 These insoles are unbelievably good. I'm showing them to all my friends and colleagues in a manner like I would get a share. But these are really very very good. I'm giving them just 4 stars because the heavyweight wearing I'm putting them through made the top layer already peel off and curling up at my heel. Im definitely gonna be back to buy more. These insoles are great but they actually really hurt the first day I used them. They made my feet hurt around the outside but now they are perfect and have definitely helped. Maybe I should have worn them in slowly but I'm not that kind of person! These make all the difference to someone with this problem- They are soft and supportive, and make walking so much less painful. 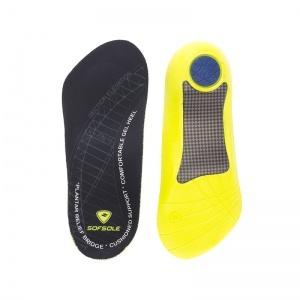 A great find and something I shall keep and use as and when my feet need some extra support and comfort. An excellent product- I wish I had known about them earlier. Have really helped relieve a lot of the pain I was suffering. Walked 20k steps today and was absolutely fine.